Not only will this Small Round Pouch with Leaf Closure help you to carry everything you need to your next event, but it will also enhance your style by adding in a little touch of nature, in the form of a green leaf mounted right on your belt! The bag is crafted entirely in high quality leather with a supple style so that it can expand and contract, based on how full the bag is (this lets it take up less room when empty). 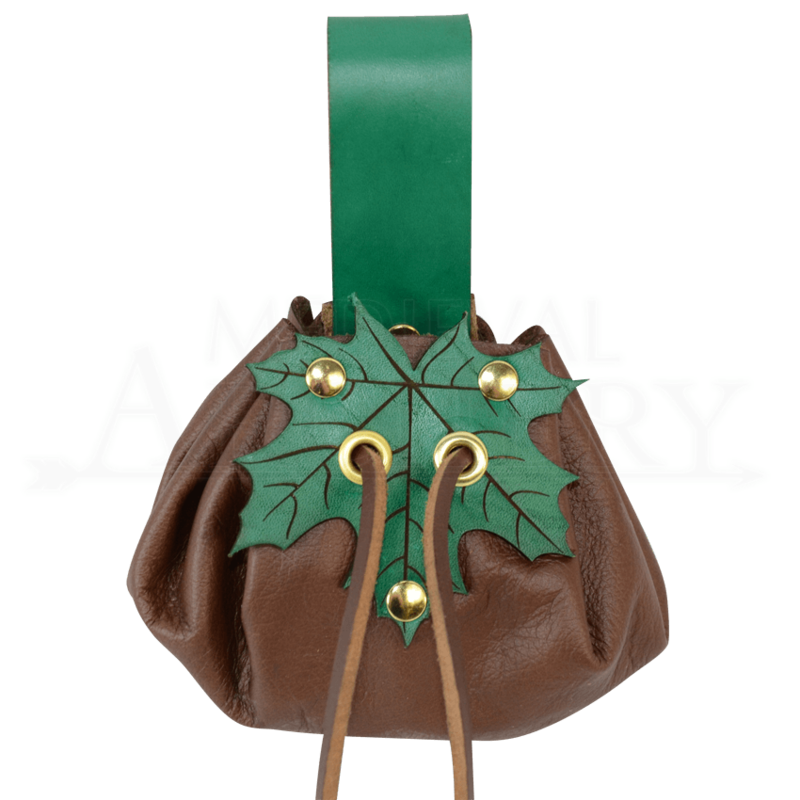 A stiffened leather leaf adorns the front of the bag and features two leather laces that can be pulled tight to close the bag securely. 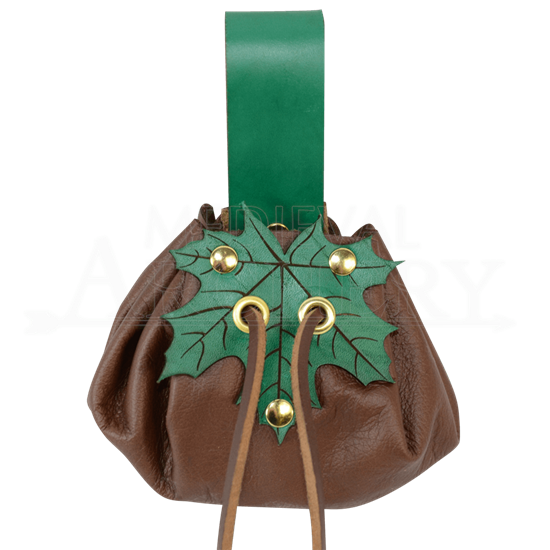 With its natural, almost elven style, this Small Round Pouch with Leaf Closure makes for a perfect addition to a wide variety of looks and ensembles - and the added benefit of extra storage space is always a fine bonus.